Dh’èirich mi tràth madainn Disathairne gus an trèana a ghlacadh gu Carlisle. Bha mi a’ dèanamh air Alston, baile beag ann an Cumbria. Gu h-annasach, thòisich an turas agam le Alston eile! Mhothaich mi air an t-slighe a-steach gu Stèisean Ghlaschu Mheadhain gur e ‘Alston’ an t-ainm a th’ air bàr is taigh-bìdh san stèisean cuideachd! Ged a bha mi a’ dol gu Alston gus rathad-iarainn fhaicinn, gu h-ìoranta, chan urrainn dhut siubhal gu Alston air an trèana tuilleadh. Chaidh an rathad-iarainn ann bho Haltwhistle a dhùnadh ann an 1976 ach tha buidheann ann a tha ag obair gus an rathad-iarainn a thogail as ùr (mar loidhne caol-ghèidse) agus tha iad air 5 mìle ath-fhosgladh bho Alston gu Slaggyford gu ruige seo. Mar sin, bha agam ri trèana is dà bhus fhaighinn dhan bhaile – agus bha trèanaichean Northern Rail air stailc agus cha robh sin na chuideachadh! Mar sin, bha agam ri bus seach trèana fhaighinn gu Hexham gus an aon bhus làitheil a ghlacadh gu Alston. 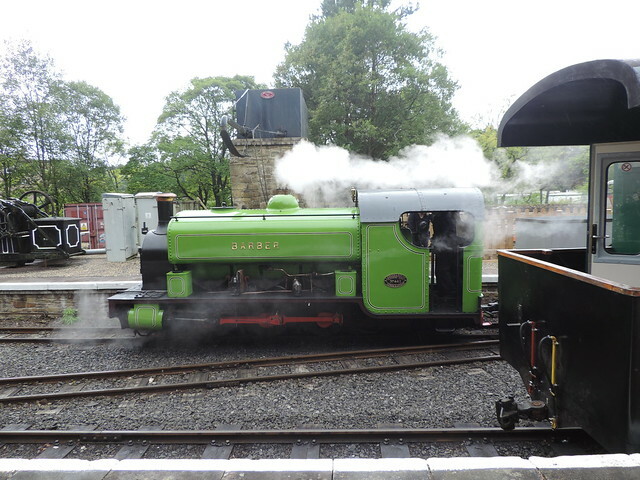 Tha mi air tadhal air an South Tynedale Railway dà thuras roimhe. Chaidh mi ann an toiseach ann an 2006 agus a-rithist ann an 2015. A’ chiad turas, bha an loidhne a’ ruith bho Alston gu Kirkhaugh. An dàrna turas, bha e air Lintley a ruighinn agus an turas seo bha mi airson an leudachadh ùr gu Slaggyford fhaicinn. Tha mi air dealbhan ’ro làimh is às dèidh làimh’ a thogail den àite oir tha tòrr air atharrachadh bho bha mi ann mu dheireadh. Ged is e an t-atharrachadh as motha gun deach an loidhne ath-fhosgladh air ais gu Slaggyford agus gu bheil an rathad-iarainn a-nis 5 mìle a dh’fhàid, tha cruth-atharrachadh air tighinn air stèisean Alston cuideachd. Anns na làithean mu dheireadh den rathad-iarainn anns na 1970an, cha robh mòran air fhàgail. Cha robh mòran ghoireasan ann agus cha robh ach aon àrd-ùrlar ann. Seo mar a tha an stèisean a-nis le dà thrac, dà àrd-ùrlar, mullach agus cafaidh. Tha rudan air eile air atharrachadh bho bha mi ann an toiseach. A’ chiad turas a bha mi ann, bha mo nighean bheag Ciorstaidh còmhla rium. Thog mi dealbh dhìth air an trèana. Ged nach tàinig i còmhla rium an turas seo (bha i ro thrang a’ cluich Minecraft), thog mi dealbh eile dhìth gus am b’ urrainn dhuinn coimeas a dhèanamh! Gach turas a bha mi ann roimhe, ’s e trèanaichean diosail a bha a’ tarraing nan trèanaichean ach an turas seo, chunnaic mi smùid air an loidhne airson a’ chiad uair. Agus Ged a tha tòrr ann airson daoine mar mi fhèin a tha uabhasach deidheil air trèanaichean, seo an seòrsa rathad-iarainn a chòrdas ri daoine ‘àbhaisteach’ cuideachd. Tha deagh chafaidh ann, tha bùth snog ann agus tha fluraichean brèagha anns an stèisean cho math ri taigh-tasgaidh beag. Aig an àm seo, tha Alston gu math iomallach is doirbh a ruigsinn, tha na rathaidean lùbach cas agus cha bhi ach glè bheag de bhusaichean a’ dol ann. 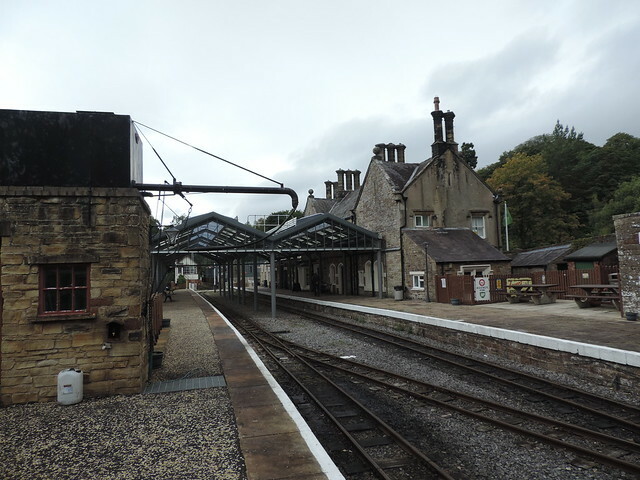 Air an adhbhar seo, tha an South Tynedale Railway ag amas air Haltwhistle a ruigsinn a-rithist air a’ phrìomh-loidhne eadar Carlisle agus an Caisteal Nuadh gus am bi e nas fhasa do luchd-turais tighinn dhan àite. 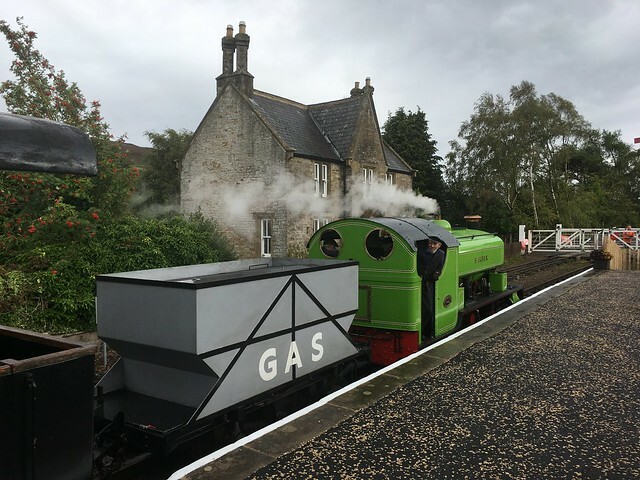 Aig an àm seo, tha làrach na loidhne bho Slaggyford gu Haltwhistle mar phàirt den South Tynedale Trail ach tha rùm gu leòr ann gus an trac a chur sìos a-rithist agus slighe-choiseachd a chumail cuideachd. Seo stèisean Featherstone Park – tha an t-àrd-ùrlar, an togalach agus fiù’s an soidhne fhathast ann – cuine a thig an trèana air ais? Às dèidh dhomh srùbag fhaighinn ann an Slaggyford, choisich mi air ais gu Haltwhistle, turas mu 10 mìle, air slighe an t-seann rathaid-iarainn. Tha mi a’ dol a dhol air ais gach beagan bhliadhnaichean gus coiseachd gu Haltwhistle bhon stèisean as fhaide a tuath air an loidhne – gus am bi an loidhne air fad air ath-thogail gu Haltwhistle! 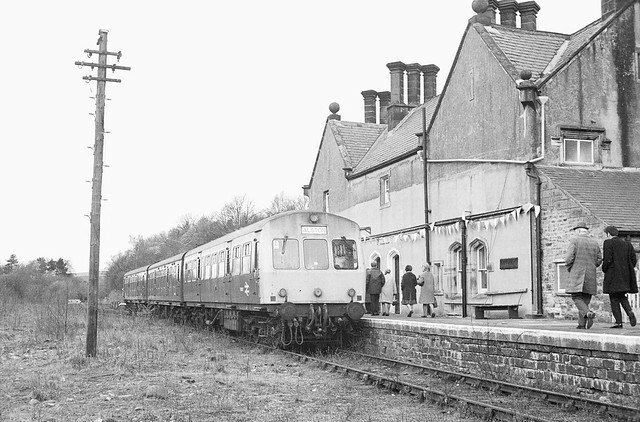 An turas agam: Glaschu-Carlisle (trèana), Carlisle-Hexham (bus), Hexham-Alston (bus), Alston-Slaggyford (trèana), Slaggyford-Haltwhistle (air chois), Haltwhistle-Calisle (trèana), Carlisle-Glaschu (trèana). 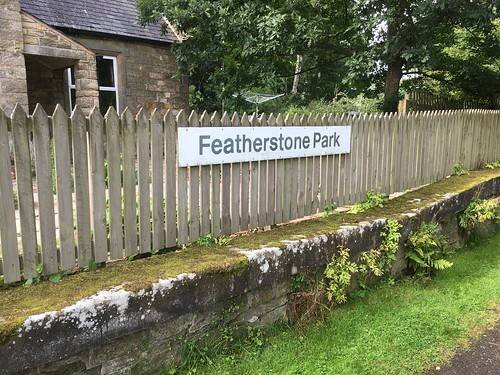 Chaidh seo a phostadh ann an England, rathaidean-iarainn, rathaidean-iarainn dùinte, Rathaidean-iarainn glèidhte, Uncategorized agus a thagadh Alston, Alston Branch, Featherstone Park, Haltwhistle, Narrow Gauge, Slaggyford, South Tynedale Railway, STRS. Dèan comharra-lìn dhen bhuan-cheangal.